Browse the North Laine, Brighton’s best kept secret. A collection of over 400 colourful, independent businesses. It’s the place where Brightonians shop, eat and relax. When visiting the North Laine in person you can enjoy over 400 independent shops, cafés and entertainment venues. It’s a unique and vibrant part of the city and the North Laine website gives you just a flavour of what’s available. 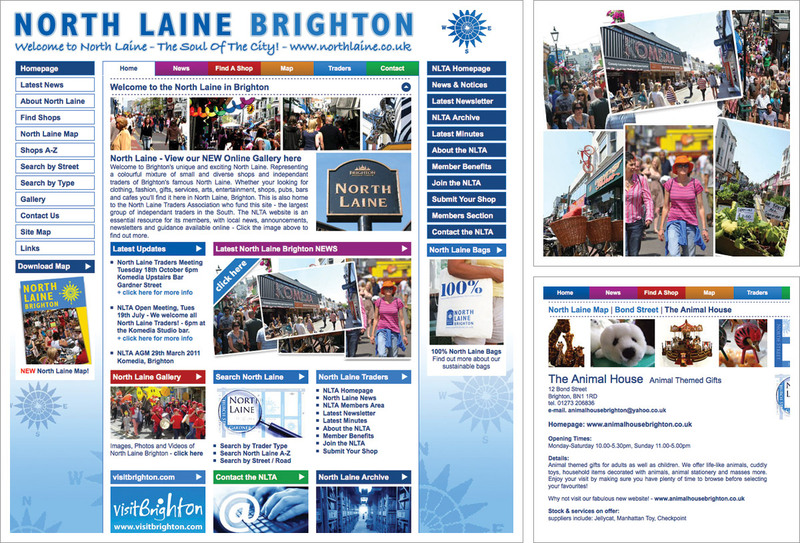 The Website has been developed by and is maintained by the long established North Laine Traders Association. It includes information about the history of North Laine, it’s location, what’s going on, who’s there and there are even individual traders pages with multiple images, opening times, information about their stock or services.